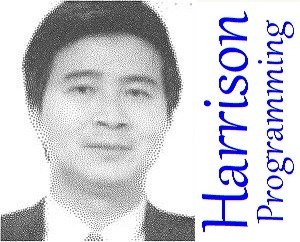 Harrison is an Application Developer/Programmer & Consultant, providing programming and consulting services to investing/trading firms and individual investors/traders. He develops/programs in C#, as well as platform-specific languages such as MultiCharts and MultiChart .Net PowerLanguage, and TradeStation EasyLanguage. His clients are from different parts of the world, including US, Australia, Canada, England and Singapore. Harrison is an experienced EasyLanguage Specialist registered with TradeStation. His work as a developer has earned recognition among his peers. He received the 2011 TradeStation Developer Challenge Award for his work on TS9 Object-Oriented EasyLanguage OrderTicket Automation. Disclosure: Testimonial may not be representative of the experience of other clients or customers, is not a guarantee of future performance or success. Has over 20 years of computer programming and numerical analysis experience, and doing what he loves. Holds a PhD degree in applied engineering science with strong mathematical and geometry background. Has a good understanding of key elements of investing and trading processes to effectively work and connect with clients. Is dedicated to supporting client goals and creating quality work for them as cost-effectively as possible. * TradeStation and EasyLanguage are trademarks of TradeStation Technologies, Inc.
* Neither TradeStation Technologies nor any of its affiliares has reviewed, certified, endorsed, approved, disapproved or recommended, and neither does or will review, certify, endorse, approve, disapprove, or recommend, any product or service that offers training, education or consulting regarding the use of EasyLanguage. * Diamond Lock is trademark of Investment Engineering Corp.
* Nothing on this web site is an offer or solicitation of securities or investment products or services.